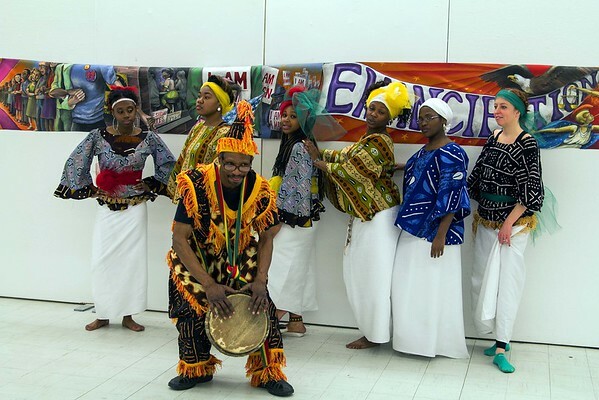 Members of the AACC Dance & Drum Performance Company at the NACC Sunday afternoon. From left in the rear are: Candice Lowery, Natanya Thompson, Janee Brown, Lynnette Simmons, Onija Martin and Megan Listak. The drummer is Marvin Harris.